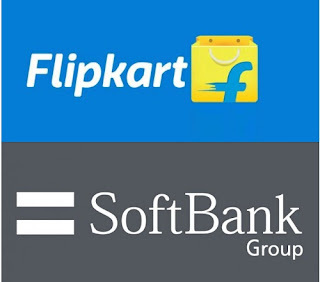 World’s largest technology-focused investment fund, SoftBank has now become one of the largest shareholders in the Indian e-commerce giant Flipkart by making an investment of around $2.5 billion (as per reports). It is a mix of primary and secondary capital. These days Flipkart is facing a decent competition from Snapdeal and Amazon. Recently, Flipkart acquired Indian business of eBay, and further moved to acquire Snapdeal so that it can narrow the competition but Snapdeal rejected the offer. “India is a land of vast opportunity. We want to support innovative companies that are clear winners in India because they are best positioned to leverage technology and help people lead better lives. As the pioneers in Indian e-commerce, Flipkart is doing that every day,” said Masayoshi Son, Founder and Chairman & CEO of SoftBank Group Corp.